ARRT Bone Densitometry Examination - Get the scoop on the registry examination in bone densitometry. Learn what information will be on the exam as well as the requirements for teasting eligibility. DEXA Information - Dual Energy X-ray Absortiometry, or DEXA scanning, is currently the most widely used method to measure bone mineral density. Bone Health For Life - Commercially available DEXA measures primarily bone mineral density at the hip (femoral neck) and lumbar spine. The measurement of BMD at these sites is sufficient to detect osteoporosis and provides an indication of potential risk of future fracture. learn more from this great resource on bone densitometry and bone health. Dual Energy X-ray Absorpitometry (DEXA) - The most accurate test available for detecting osteoporosis and other bone diseases is dual-energy X-ray absorpitometry (DEXA). This test, which takes about 10 to 15 minutes, learn more from the Cleveland Clinic at this informative web site. Bone Density Tutorial - Excellent interactive explanation of DEXA scan. Explains the workings of bone densitometry with sound and images. RadiologyInfo - DEXA scan information for patients from the ACR. Radiologist reviewed and approved. Nice layout and excellent bone densitometry information. Check out the bone densitometry society or the bone densitometry association sections for a comprehensive listing of state and national agencies and groups. These can provide help with finding a career in radiology. They can also provide radiology education advice and school suggestions. If you are already a bone densitometry technologist or other medical imaging worker, these bodies provide a place for radiology professionals to interact with others in the career field. Some also offer radiology journals and are great sources of radiology and bone densitometry CME and CEU opportunities. We believe that supporting the radiology profession by becoming a member in professional group helps improve not only you as an individual but the profession as a whole. For this reason we strongly recommend that you join your state and national society or association. The Bone Densitometry Student Zone - Find all the best radiology school resources at the student zone. Here we link to web sites, notes and tutorials that help you with a variety of medical imaging topics. Think of it as a radiology portal for imaging students. SPAM FREE - Join the list to get the latest bone densitometry news from around the globe. It's easy to do and quick, Just go to www.RadiologyNewsletters.com and sign up with your e-mail account. Looking for bone densitometry schools or maybe you're a radiologic technologist looking to expand your education with a bachelors degree in radiology? Either way, we can help. RTstudents.com has partnered with some of the top schools in the country to provide you with access to free college program information. Click the link below to find the radiology program and the school you like and fill out out the no obligation forms. That's it, the information that will help you find the right school is on it's way. What could be easier? Also, it's free, choose three or four and compare. 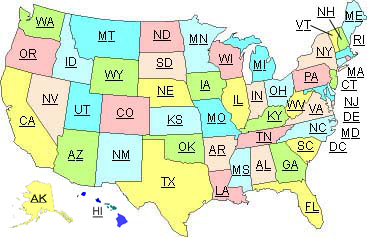 Bone Densitometry School Directory - Free medical imaging program information listed by state and city. Radiology schools are competitive to get into and since there's no limit to the number of applications you can fill out - the more you apply for the better your chances of getting into one. Free Anonymous Resume Posting Whether you're actively or passively seeking work, your online resume is your ticket to great radiology job offers! View Bone Densitometry Resume Database Check out our radiology resumes! We have access to some of the best professionals in the field. View Bone Densitometry Job Listings Access the newest radiology jobs available to professionals seeking employment or just viewing the market. Post Bone Densitometry Jobs On The Board Reach the most qualified candidates by posting your radiology job opening on our online Career Center. Add a link? Submit an url? Suggest a site? However you say it, visit our bone densitometry and medical link exchange to post your radiology web site so others can find you. Everyone benefits when radiology information is easily available to all radiology students, radiologic technologists and other medical imaging professionals. We've found many wonderfully informative diagnostic radiology sites and also stumbled upon fellow rad techs with radiology blogs or radiology related sites. Let's hope ours link directory will help you find some too.